Allah subhanahu wa ta’ala introduces Himself as Al Quddus, The Absolutely Pure, on two occasions in the Quran: in Surah Al Hasr, ayah 23 and in Suratul Jumuah, ayah 1. 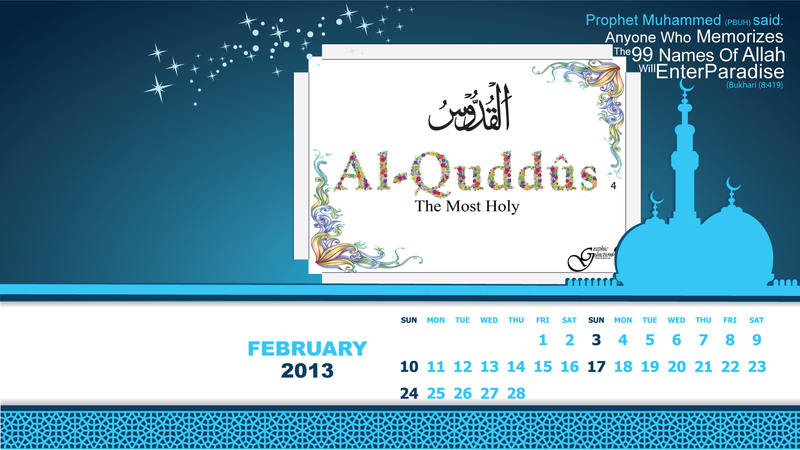 Al-Quddus comes from the root Qaf-daal-seen (ق د س), which points to two types of meanings. The first one ‘quds’ is taharah (cleanliness). The second meaning of this root is barakah (goodness, blessings).